Yahoo has had some troubled… years… as of late. After ousting its latest CEO for a fraudulent resume, the company has decided to clean house, selling Chinese assets to Alibaba for $7 billion and now shutting down Livestand, an iPad app that only launched about six months ago. The announcement was just made on Yahoo’s blog. What that basically means is that Livestand must not have been getting enough downloads, holding the interest of users, or competing with competitors like Flipboard well enough. The company points to Yahoo Axis as an example of the new direction it’s headed in. Axis is a visual “search browser” — a plug in for desktop browsers like Chrome and a standalone iOS app. You can read Andrew’s full impressions of Axis here. 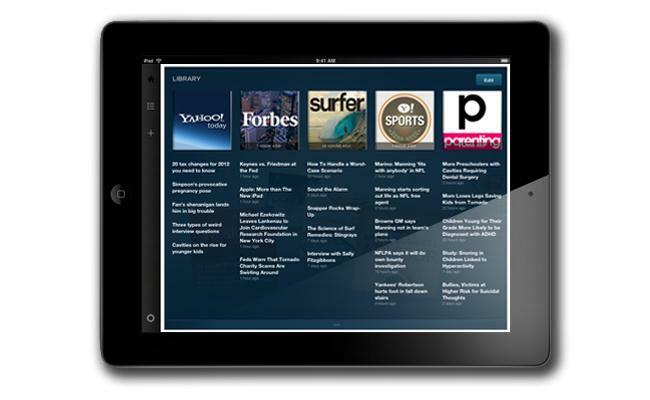 Though Livestand is being canceled, Yahoo says to expect future apps from it. The company claims it is “pivoting to a mobile-products-first development model,” which will produce more mobile products like Axis. Innovating in mobile is now one of, “if not THE biggest,” priority for Yahoo. Like many Yahoo products, we thought the idea for Livestand sounded interesting, but didn’t find the app particularly compelling. If you are or were a user of it, let us know.